Singapore Airlines has committed to buy 20 Boeing 777-9s and 19 787-10 Dreamliners. A commitment announced Thursday from Singapore Airlines to buy 39 of Boeing’s big widebody jets offers a hugely reassuring boost for the 787 Dreamliner and 777X airplane programs, breaking a dearth of recent orders for both models amid a tough market for twin-aisle jets. The airline committed to buy 19 787-10s, the longest Dreamliner model, and 20 777-9s, the larger of the 777X models that are set to debut at the decade’s end. The deal is valued at $13.8 billion at list prices. However, airlines typically get substantial discounts, and estimated current prices by industry consultant Avitas put the actual value of the commitment at about $6.9 billion. Deliveries of the jets will start as early as 2020, the carrier said, adding it also has options to buy six more of each of the two models. It’s been 14 months since an airline last ordered the new 787-10, which is due for first flight this year. And it’s 19 months since the last 777X order. The jet maker has been working hard to land more 787 sales to extend the program as it seeks to pay off more than $27 billion in outstanding production costs. And with Boeing set to drastically cut output of its current 777 models in the next couple of years, further sales of the upgraded 777X family are critical if it is to revive production early in the next decade. The new aircraft will replace some of Singapore Air’s aging Boeing planes such as the 777-300ER, while giving the carrier’s low-cost subsidiary, Scoot, the rights to jets not yet on the market. The Singapore order also could influence other airlines, said Jefferies analyst Howard Rubel. Singapore Air has ordered 67 Airbus A350-900 jets, including an ultralong range version, as it courts business travelers with nonstop service to markets such as New York and Los Angeles. The Asian carrier’s current fleet includes 10 A350s, which Airbus says consume 25 percent less fuel than Boeing’s 777 aircraft, with 57 more on order. The airline already has 30 787-10s on order, according to Boeing’s website. Singapore Air has also reviewed a proposed, longer version of the twin-engine 777 that would carry as many as 450 passengers, a behemoth aimed at delivering a knockout blow to the Airbus A380. 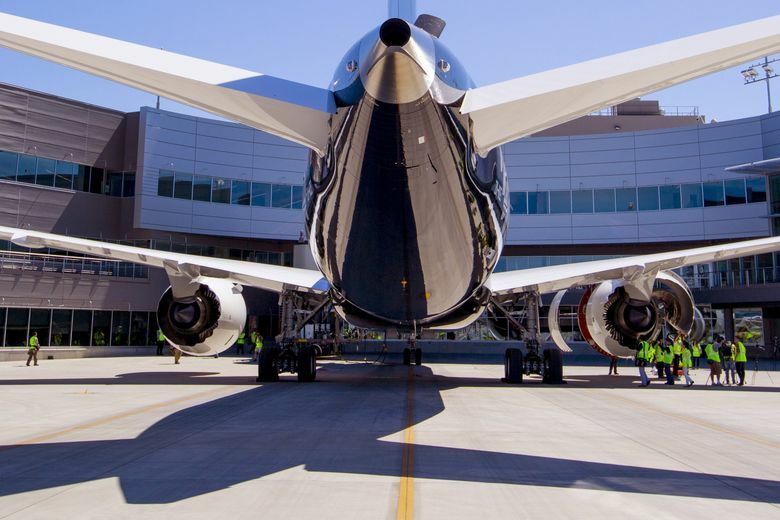 The carrier is the launch customer for the 787-10, the first Boeing jetliner to be manufactured solely at its North Charleston, S.C., plant. Deliveries are scheduled to begin next year. Singapore Air’s unit Scoot currently flies the carbon-composite 787-800 and 787-900 variants of the Dreamliners.